It has been way to long since I have posted, and even though I probably could make time to post I have not. I have been super busy lately. I landed my first paid job in the food industry at a Michelin star rated restaurant in San Francisco. I am learning a lot and am working under one of the greatest pastry chefs in America today. I originally went in to get an internship and ended up getting a paid job, I am so glad I did not attend culinary school and find myself further in a pool of college debt! Spring is here! I am so excited for spring produce, there is so much bounty out now! Here are some pictures from my garden this year! 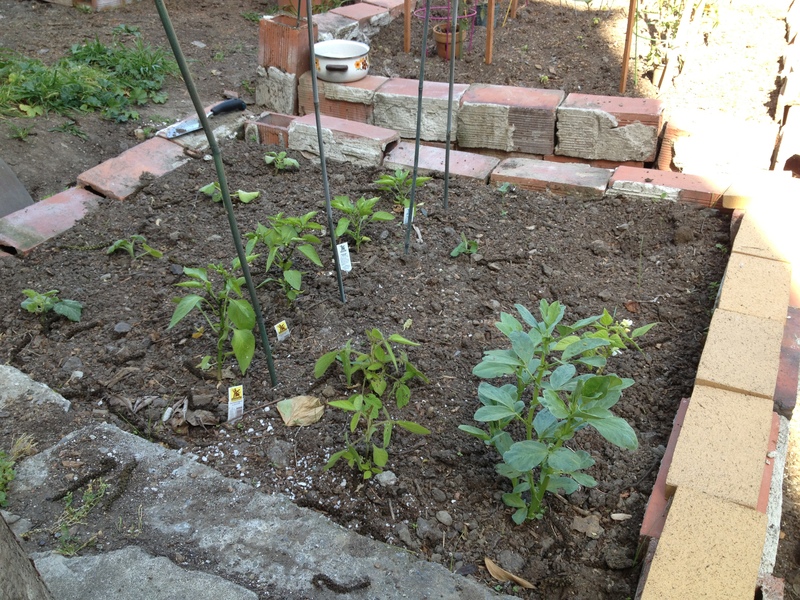 The first picture is of the garden in April, we laid all of the ground work while our seedlings were growing inside! 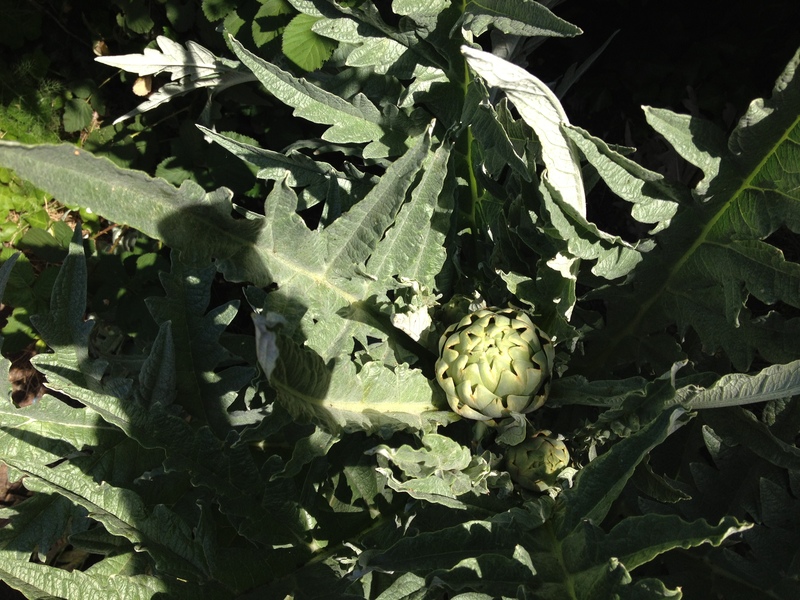 The second picture is of our artichoke plant! It is a beast and has taken over the back corner of our garden and has 3 artichokes on it already! Vegan Artichoke dip anyone? I think so! 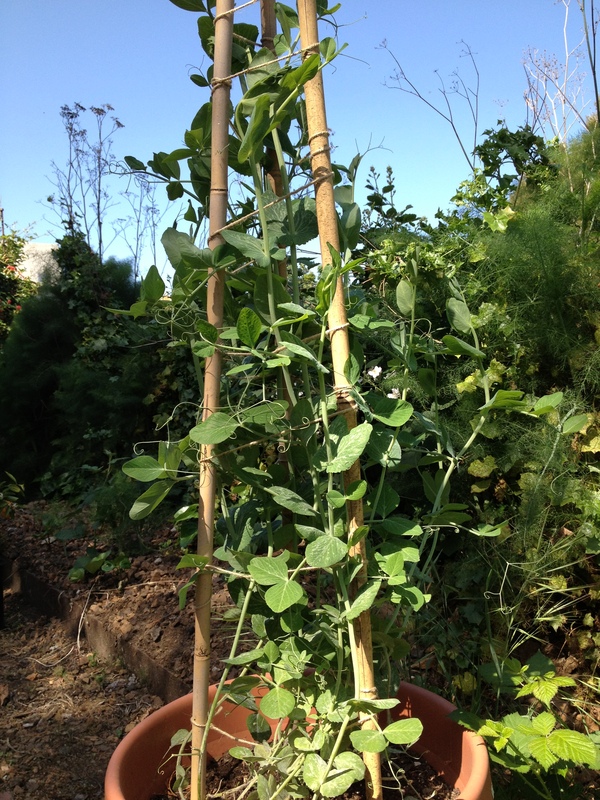 The next picture down shows our pole beans! They are truly amazing, and you can grow them anywhere in a pot with a trellis, if you have a balcony you can grow pounds of beans! 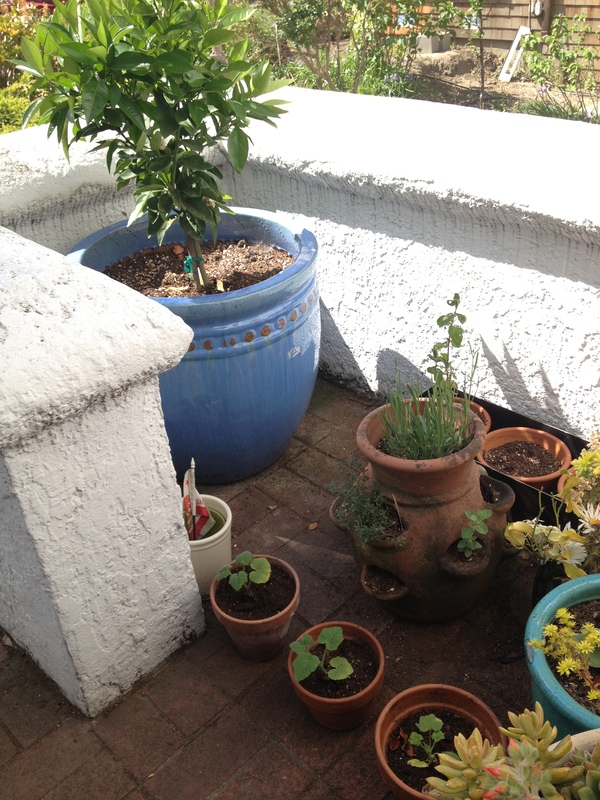 We started our garden last year very spontaneously, and we did not really know what we were doing yet! We planted 40 different vegetables with various results. We found that maybe it was best not to grow what sounded fun like purple tomatillos but focus instead on what grew well in our neighborhood, climate, and what we shopped for on a weekly basis! The one thing we did find is that everything tastes better from the back yard. 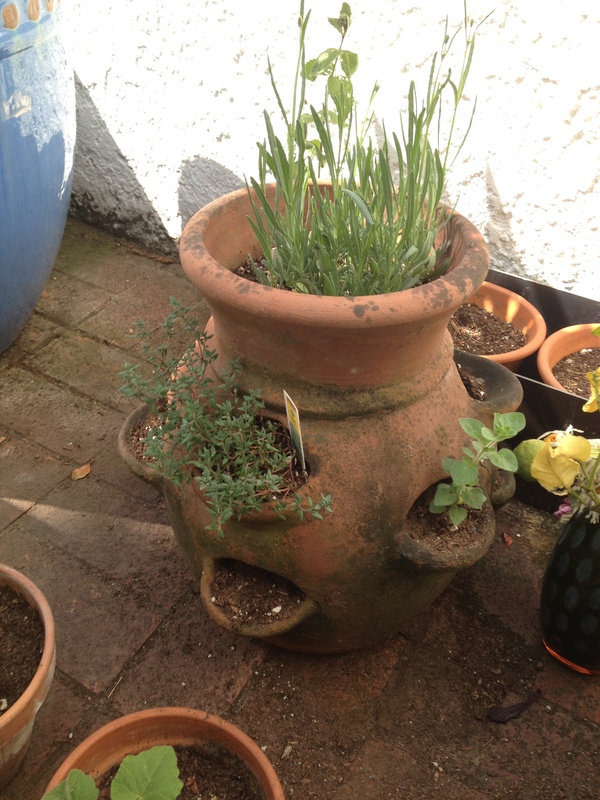 For first time gardeners, or those with little space grow herbs! 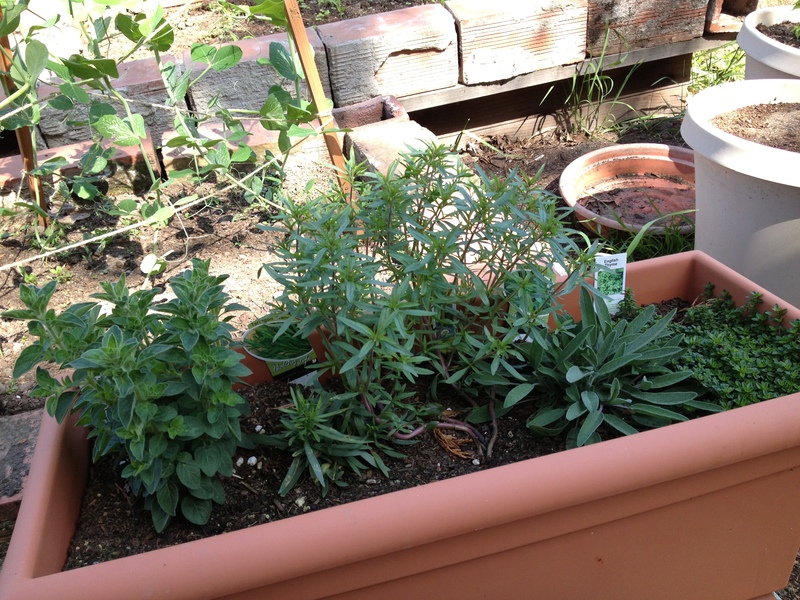 Herbs are expensive at the grocery store and often we only need a sprig of thyme not 20 that we end up throwing away. Radishes are easy to grow and can be grown in a container and eaten within 20 days! 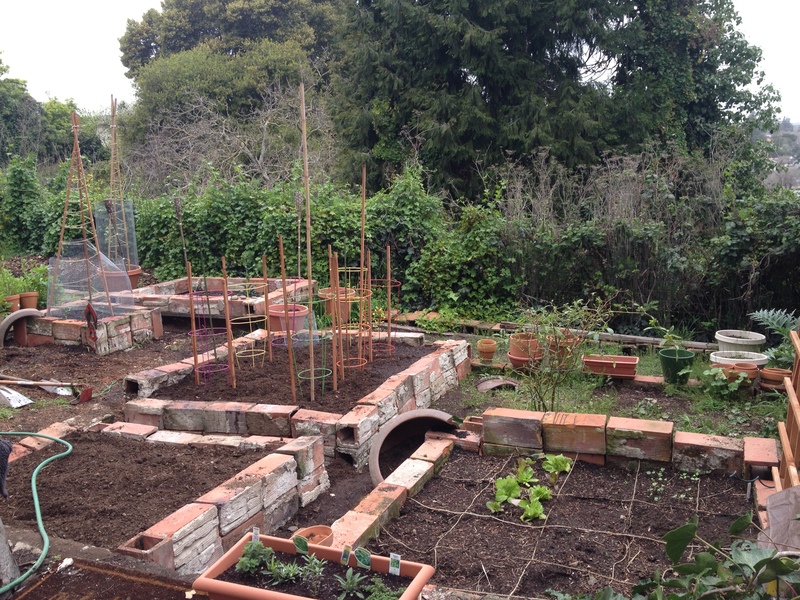 If you have any questions about gardening don’t feel afraid to ask, I am learning a lot about how things grow in an organic garden and the difficulties we face when we grow things naturally. 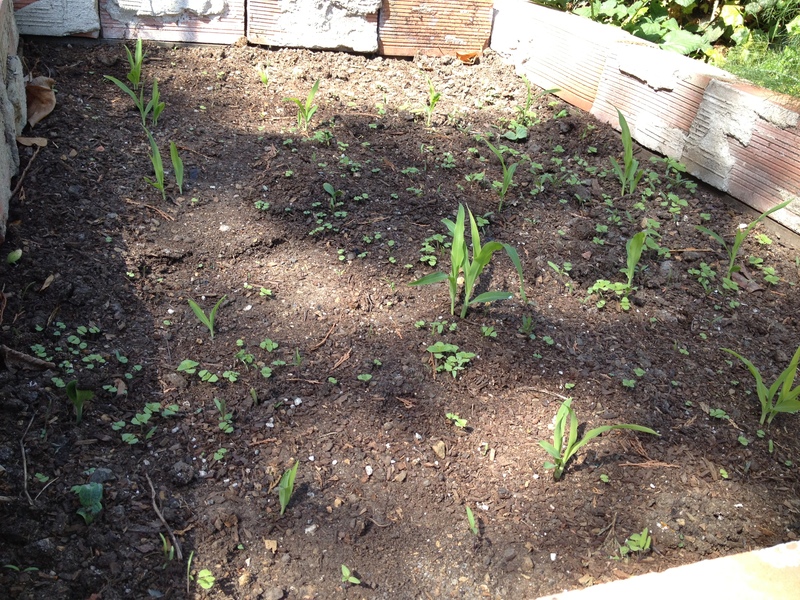 I will keep you all posted on how my garden is growing, and don’t worry delicious recipies inspired by my produce and the season will be coming out soon…for one, I am yearning to make a rhubarb pie. 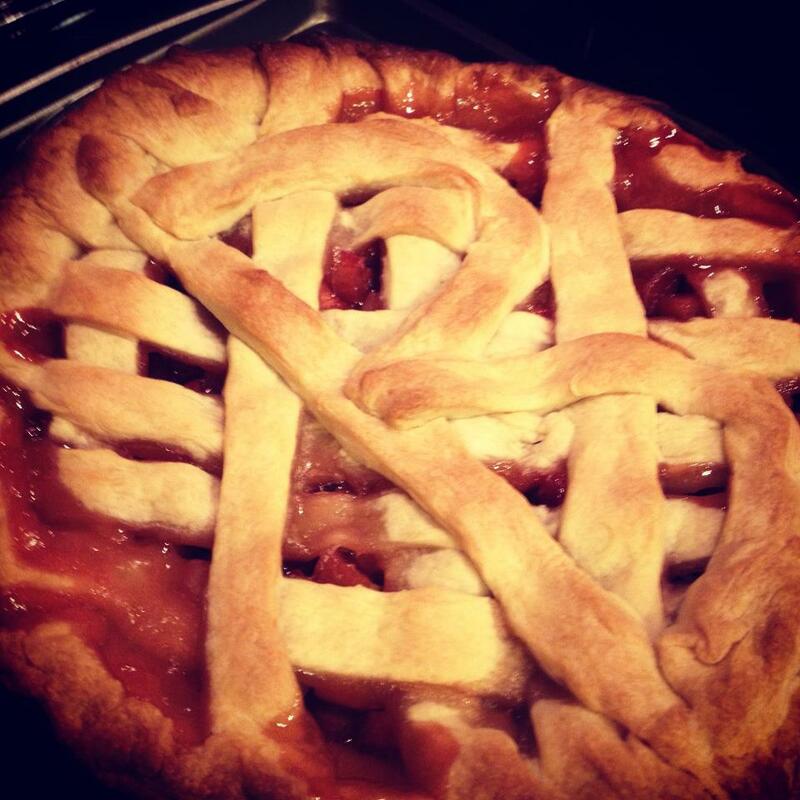 Rhubarb pie was the first thing I made for my boyfriend last year when we met and I smacked a big B in the center of it for Brendon. So stay tuned for Artichoke Dip and Rhubarb Pie!